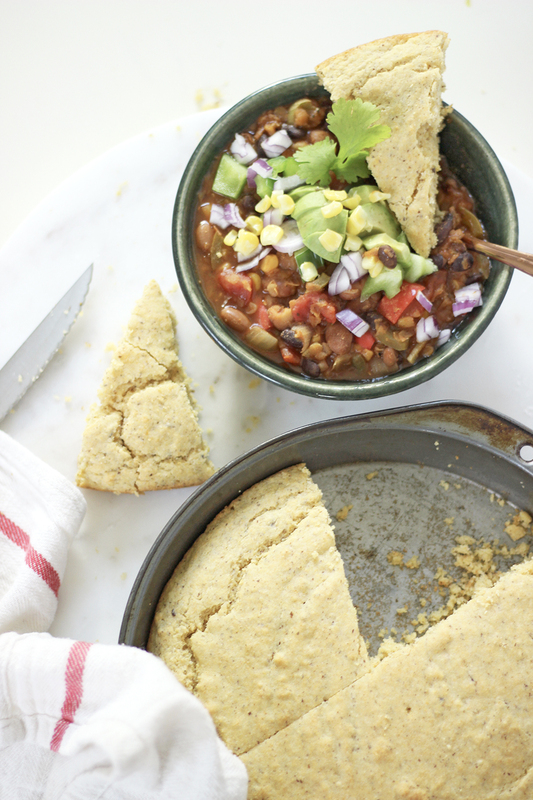 Nothing pairs better with Vegan Chili comfort food than a warm piece of Vegan Maple Cornbread! 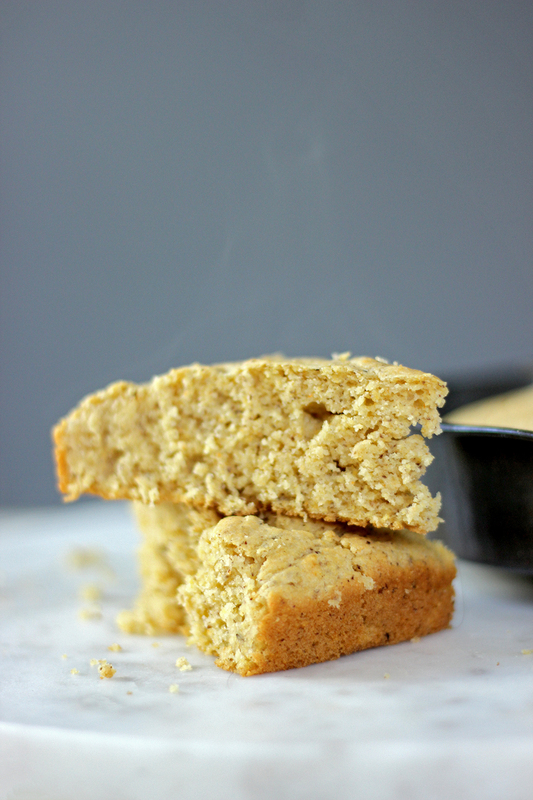 Cornbread was a favorite of mine growing up, so knowing how to make a plant-based version has become essential! Your average cornbread recipe is going to call for using granulated sugar. I really wanted to find a better alternative to that for this recipe. Granulated sugar is highly processed, and contains absolutely nothing beneficial for you. Maple syrup, however, contains higher levels of beneficial nutrients, antioxidants and phytochemicals. In moderation (small amounts), it can lower inflammation, supply nutrients, and better manage blood sugar. 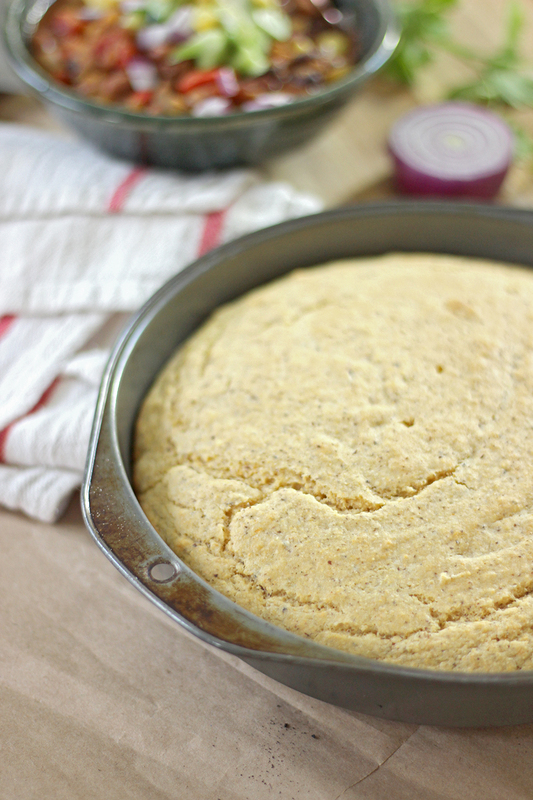 In addition, not only is maple syrup better for you, it also creates a fantastic taste for this cornbread recipe! I love how the maple compliments anything spicy and savory (particularly when paired with our Vegan Lentil Chili). Vegan egg replacers can be tricky. Sometimes, they don’t yield the right consistency that we need, which can be frustrating! For this cornbread recipe, I tried a new (to me) technique using ground flax. 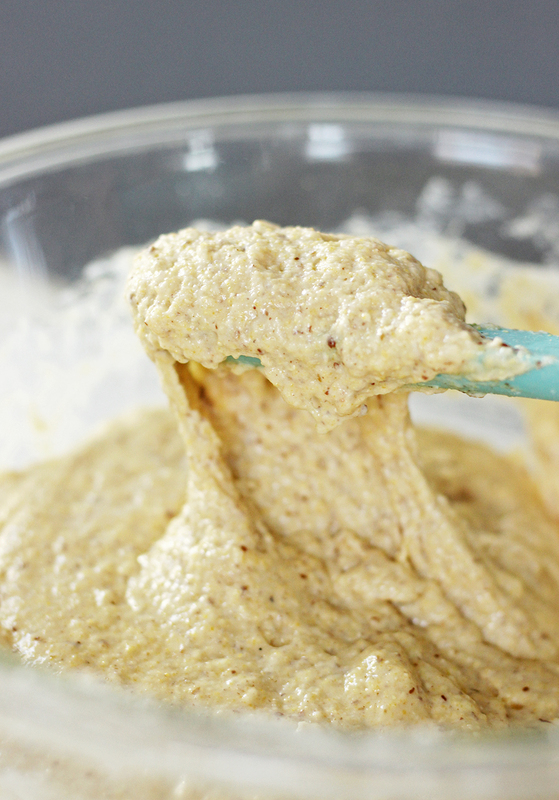 If you are familiar with baking, you may be familiar with creating ‘Flax Eggs’. In this recipe, I first boiled the water, then I added the ground flax seed and stirred while the mixture simmered. It quickly congealed into an egg-white texture that was perfect for the cornbread! I believe the heat helped give the flax a good stickiness that is hard to achieve without heat. If you have a sensitivity to flax, or would prefer using chia seeds, the same technique can be applied using ground chia seeds. I have never seen ground chia sold before, but you can easily put your chia seeds in a blender and process them into a ground mixture first. Do not use whole seeds for this. They must be ground! If you only have whole flax seeds, you can easily grind them in a blender or food processor (which is what I had to do for this recipe). If you are gluten free, you can easily replace the flour in this recipe with Gluten Free All Purpose Flour. I would not recommend subbing in nut flours for this recipe, because it will become too dense. All of the rest of the ingredients are gluten-free. Drop a teaspoon of oil into an 8″ square or round baking dish (I used an 8″ cake pan). Using a paper towel, pastry brush, or clean hands, grease the sides and bottoms of the pan. Alternatively, you can line it with parchment paper. Bring the 6 tbls of water to a boil in a small saucepan. Add the ground flaxseed and reduce the heat to low. Simmer for about 3 minutes, or until thickened, stirring constantly. Set aside. 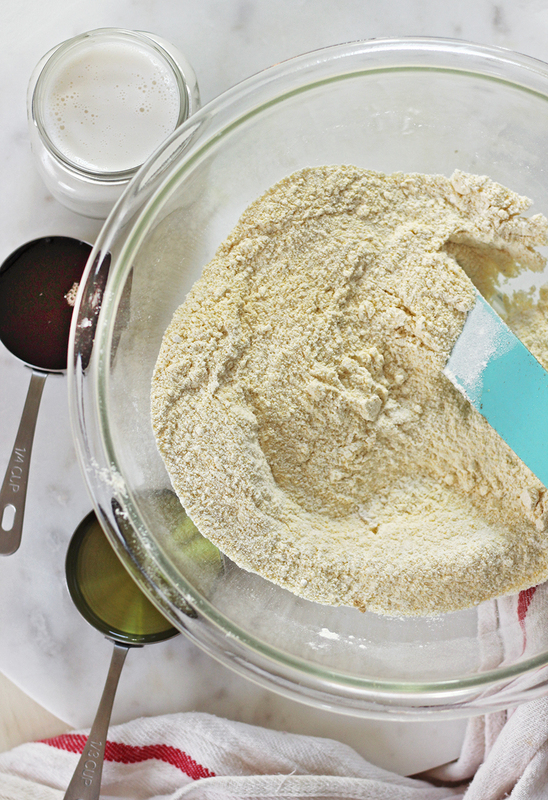 In a bowl, mix together the dry ingredients: flour, cornmeal, baking powder, sea salt. Add the flaxseed mixture, maple syrup, oil, and almond milk. Stir thoroughly until well combined. Pour into your prepared pan. Bake for 20 to 25 minutes or until a toothpick inserted comes out clean. Serve warm. If you are serving this with the Vegan Lentil Chili, you can mix up and bake this while your chili simmers, and have them both finish at the same time – prepping your toppings while the cornbread bakes. The Cornbread will store in an airtight container on the counter for a few days. To make it last longer, place in the fridge or freezer.